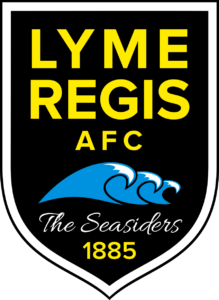 LYME Rovers suffered a set-back in their quest for promotion from Perry Street DivisionThree when they dropped points in a 2-2 draw against lowly Combe St Nicholas A. Playing up hill in the first half, the Rovers pushed hard but were caught on the counter and it was unfortunate that Jack Turner slipped to let Combe’s forward clean through on goal. It was the home team’s only meaningful chance in the first half. Sam Bevis and Freddie Andrews caused the Combe full-backs all kinds of problems and eventually a free-tick on the right from Andrews was bundled over the line by Dec Ellis off the underside of the bar and the back of the keeper, an own-goal to make it 1-1. Andrews also had a goal controversially disallowed for offside when he reacted quickly to a spill by Combe’s keeper with the Lyme players claiming Andrews appeared to be several yards onside. The Rovers started the second half well but had a monetary lapse when a Combe midfielder ran from deep and raced onto a through ball before expertly chipping the Lyme keeper, Jim Larcombe, to make it 2-1. Playing down the hill, the Rovers continued to push but failed to get sufficient numbers into the box. A couple of penalty shouts were waived away by the referee. Into injury time, and with Niall Davis making his return from injury, coming on as a target man for the last five minutes, Lyme pressed for the winner pushing everyone forward. In the 91st minute keeper Larcombe punted the ball long and Sam Bevis took a lovely touch before burying a half volley to rescue a point. The final whistle went just as the keeper scuffed a goal kick to clean-though forward Olly Alner who was bonding down on goal, denying him a possible winner. Larcombe summed up the Rovers’ performance as “not a great performance but we deserved three points and the manner in which we kept going to the end was good to see”. He picked out Matt Thomas, Freddie Andrews and man-of-the-match Sam Bevis for special mention. The Rovers dropped to fourth place in Perry Street Division Three as this coming Saturday travel to league leaders Winsham United Reserves who lead Lyme by four points.